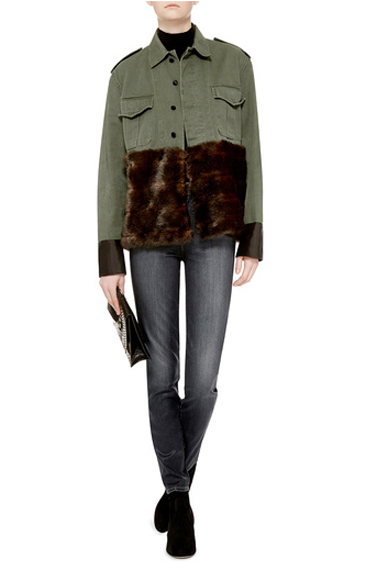 LA's current heat and humidity isn't getting in the way of my buying this Harvey Faircloth faux fur trimmed army jacket. Put simply: it's awesome! A perfect blend of laid-back and luxe. A genius layering piece. An everyday staple and night-worthy, too. And come fall, I'll be wearing it day in and day out! You can also find it here. This is so perfect it blows my mind! Thanks Le Catch. I would never have found it without you.